A Bristol man has been handed a six month community order, including a two month curfew, after he admitted fly tipping waste which completely blocked a rural lane in South Gloucestershire. Wayne Musgrove, 44, of Crow Lane, Henbury, Bristol, appeared before Bristol Crown Court on Thursday 10 March. He pleaded guilty to fly tipping waste and not having a Waste Transfer Note or a Registered Waste Carriers Licence, and was given a six month community order with a two month curfew in which he must stay at home from 7pm to 7am. Musgrove was also ordered to pay £150 court costs. The court heard that in November last year Musgrove approached the owner of a partly filled tipper truck and asked to borrow the vehicle, saying he had the opportunity to make £20 or £30 by clearing waste. He claimed that he was given permission to borrow the truck, on the condition that he deposited the waste at Avonmouth Household Waste Recycling Centre using the £40 which was given to him by the vehicle’s owner. Musgrove voluntarily attended interview at South Gloucestershire Council’s offices where he said that he had intended to take the vehicle to a friend’s house to remove an amount of rubbish, but alleged the friend had let him down. The waste was dumped at night and blocked the entire width of Hollywood Lane in Easter Compton. South Gloucestershire Council’s Communities Committee Chair Cllr Heather Goddard said: “Fly-tipping is a criminal activity and we take a zero tolerance approach to this illegal behaviour. If you fly tip rubbish in South Gloucestershire, you should expect to be caught and prosecuted. 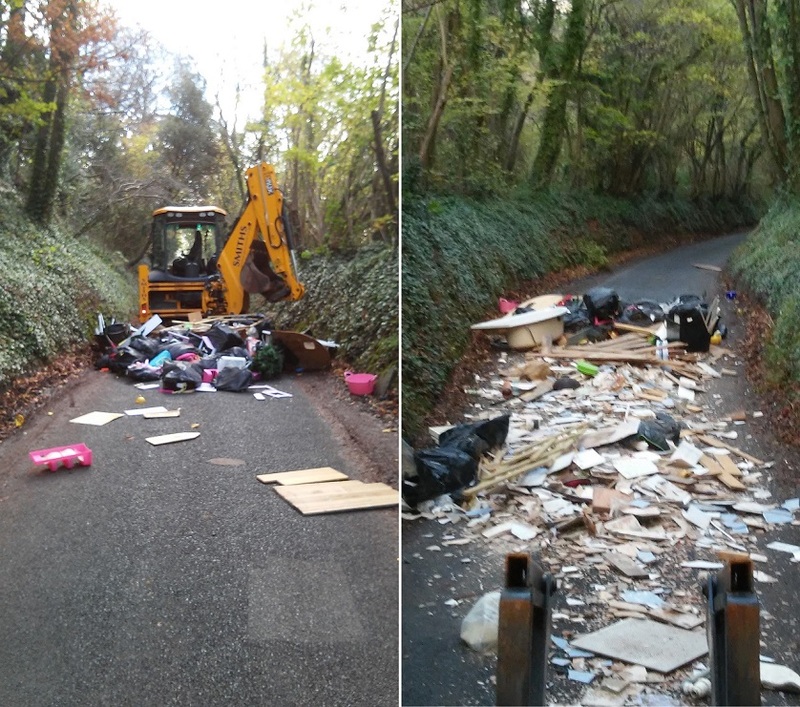 “This particular fly tip blocked the highway for cyclists and motorists with potentially dangerous consequences and was referred from Magistrates’ Court to Crown Court for sentencing due to the seriousness of the offence.